CooksRecipes has quality, kitchen-tested recipes for diabetic-friendly dairy beverages, including smoothies and shakes, that you can count on for accuracy and deliciousness. This easy smoothie is fat-free and flavorful. 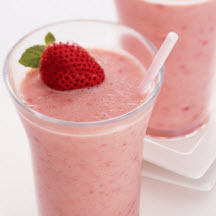 Frozen unsweetened strawberries and bananas provide the refreshing coolness and thicken the orange juice and yogurt mixture. 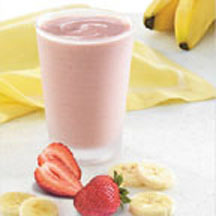 A rosy colored breakfast drink that helps you welcome the day. 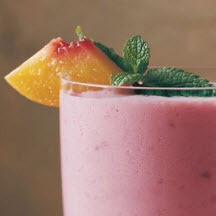 SStart the day right with a deliciously easy fruit smoothie.